Even though 'low-key' this was already digitized I figured to rip this anyway to shed some more light on this band since the music is really good, sometimes even better stuff than some of the wave reissues that came out throughout the years. 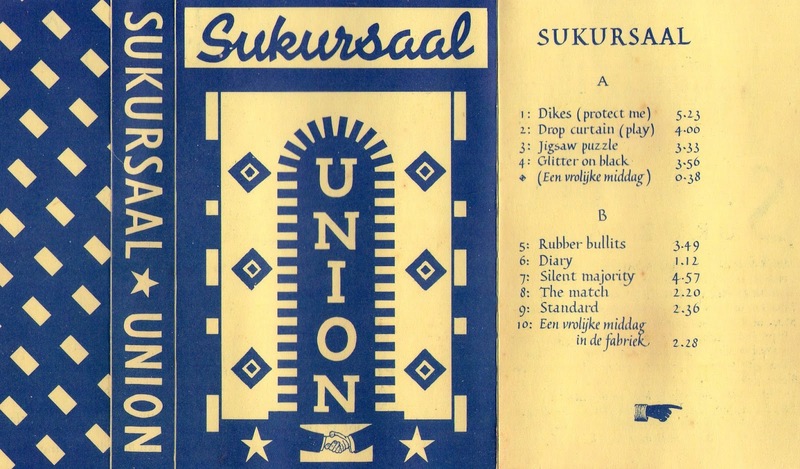 Sukursaal were a Dutch wave band (Nederwave) consisting of Marc de Reus, Maarten de Reus, Marijke Bruggink and other collaborators. 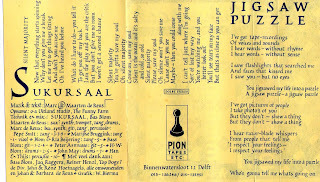 They made this one cassette that came out on the Pion Tapes label from Delft (a small picturesque city in between The Hague and Rotterdam where for example famous Dutch painter Johnannes Vermeer was born). Pion Tapes also released the new wave band La Peste that was posted on No Longer Forgotten Music ages ago. 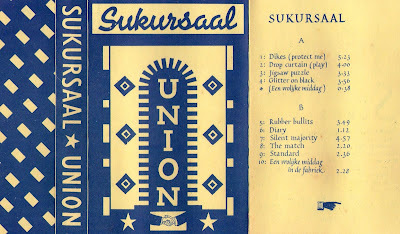 Sukursaal played interesting poppy new wave music that displayed a classic Dutch wave sound, synthetic minimal synth tracks, but also used funky basslines and a jazzy impro sound. 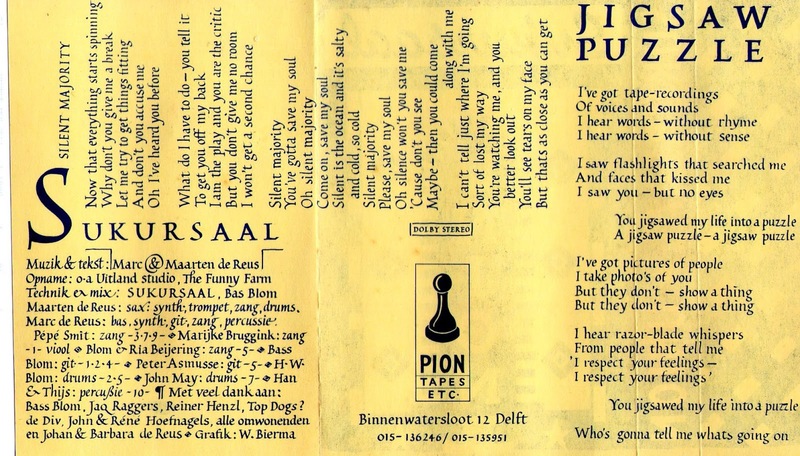 The Dutchness is emphasized in tracks like 'Dikes (Protect Me)' where the lyrics are: "Dikes protect me from being washed under", yep most of Holland is still under sea level and we really need those dikes. 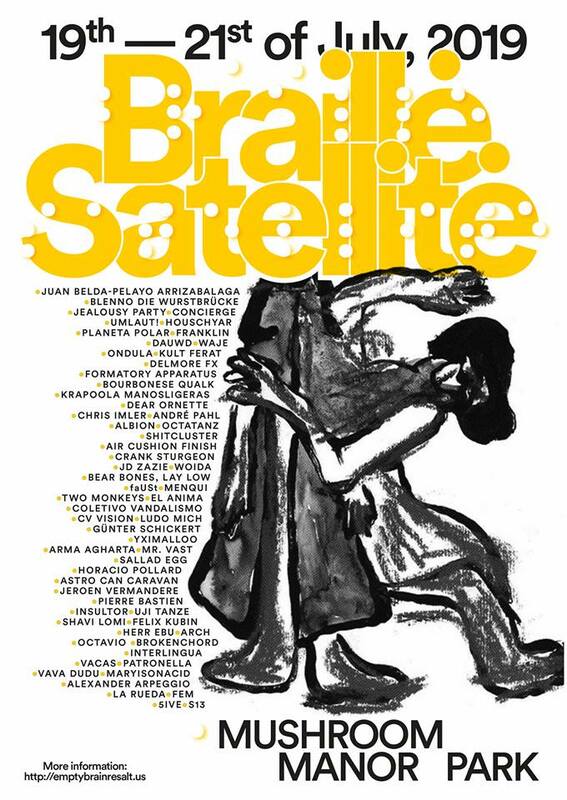 The music reminds me a lot of the Rotterdam band Dojoji, of electro-jazz outfit Niew Hip Stilen, but also of Malice In Wonderland (just a lot less batcave style of new wave). The tracks are quite distinct from each other and also quite clean because of the studio recording production. The highlights are the tracks with female vocals and the electronic ones. Many many more Dutch tapes from the home-taping era still to come to the blog this year!